With over 26 years of rich experience, Prof. Umashankar Venkatesh is an educational entrepreneur, who has helped launch many institutions of higher learning in his career. He has helped set-up five institutions of higher learning in India, both public and private, enacting key leadership roles in conceptualizing, designing, implementing and managing, innovative study programs - with many international partners viz. Lancaster Univ. UK; Oxford Brookes Univ. UK; Bradford Univ. UK; Greenwich Univ. UK etc. He was also offered Adjunct Professorship at the CUNY, USA in 2004. With a PHD in Management (Consumer Behavior), he holds Postgraduate qualifications in Management as well as Agricultural Economics. His areas of interest include – (International) Consumer Behavior, Marketing of Services, Rural Marketing, Strategic Marketing etc. He is on the Editorial Board of various research journals. 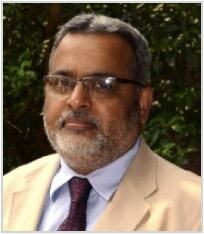 He has authored a book on Services Management; has many research publications to his credit. Has designed & conducted training programs for – business managers, academicians, civil servants and NGO functionaries in the areas of customer centricity, service orientation, organizational design, ethics, institution building etc. He promotes research by being a PHD supervisor and examiner for many universities along with reviewer of reputed journals viz. Vikalpa (IIM-A); Global Business Review (Sage); Emerald Group Publishing, Journal of Services Research etc. He has also incubated on, a personal basis, numerous small and medium sized enterprises along with his students, and is currently still attached to some of them in an advisory capacity. Prior joining Great Lakes, he was with IMI (International Management Institute), Delhi as Professor and Area Chair of Marketing.